Each U.S state maintains divorce records differently. 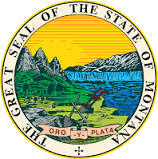 The Department of Public Health and Human Services of Montana maintains divorces records and issues divorce certificates to people in Montana. There are several reasons Montana divorce records are required. In order to prove the legal status of the divorce, a person wishing to re-marry needs to get and present his or her divorce record. Also, many people lie about being divorced so finding out from the relevant state departments whether someone you’re about to marry is already married is a sensible thing to do. Anyone can access divorced records as they are maintained in the public domain but keep in mind that the only thing a third person can find out is whether the divorce is legal or not. All other details are not available for public viewing. This includes the grounds for seeking divorce, the issues related to child custody and the property settlement issues. Apart from sending in your request with the required documents to the aforementioned address, you need to pay a $10 fee. If you want to make a request for Montana divorce records over the phone, you need to call 888-877-1946. All people seeking Montana divorce records need to keep in mind that the Office of Vital Statistics does not provide certified copies of divorce decrees rather it verifies the legal status of a divorce. Apart from the aforementioned ways, you can also access a Montana divorce record online through public databases. To access Montana divorce information online, you need to sign up with the website providing the information, pay the fee, and perform the check to get the information you need. Accessing Montana divorce records is that simple. If you want any further information related to Montana divorce records, you can visit the website of Department of Public Health and Human Services of Montana or call them on their toll-free number. I’m trying to figure out of my divorce went through to Robert Adam Austin. We checked our Montana divorce record database and did not find anything for you Lisa. You might also want to check with the Montana county courthouse where your Montana divorce decree was filed. There you can ask the court clerk if your divorce is final.